Being good at SEO means making a difference between running a highly visible business to allowing it to waste away in some dark corner of the internet. 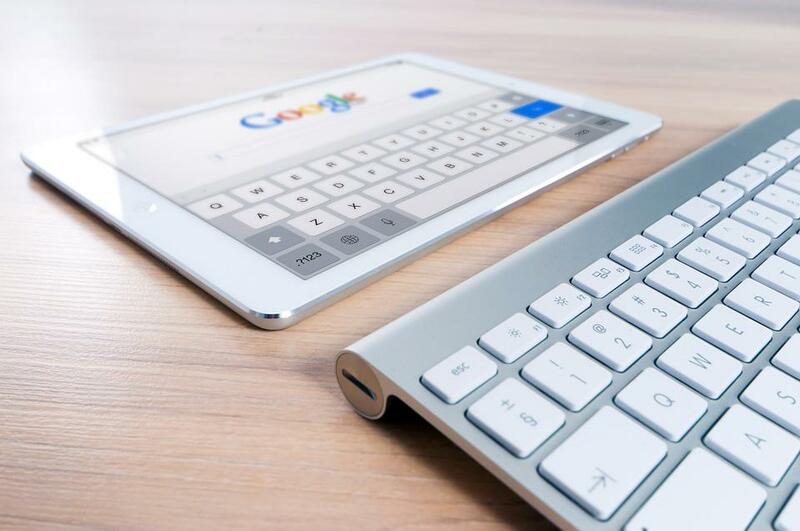 As you want to spread the word about your brand and business as wide as possible, your website will have to undergo comprehensive optimization to establish a strong presence on SERPs. In reality, investing in SEO has become a prerequisite for running a successful business instead of being seen as an optional investment. Take five minutes to go through these selected SEO tips offered by the industry leaders and shake up your SEO strategy in 2018. According to Patel, you’ll have to rethink using the same old SEO tricks, such as engaging in too frequent guest blogging. Instead, you should focus on your long-term goals, such as creating and offering quality content and making it accessible by means of carefully picked keywords. Optimizing for these two does not mean just relying on keywords. Instead of this, you’ll have to approach them like you would a paid ad and make your page title and meta descriptions stick out among the search results. Securing better CTR for your page is bound to improve its ranking. Fishkin advises businesses to create websites that have a natural “hook” for achieving significant viral potential. This is done by making it accessible to search engines by inserting high quality embedded content and links. All of these activities need to be conducted with the focus on the content that can be easily shared. Business citations, such as those found on websites like Yell and FreeIndex, include your business’ name and contact information. A research by Moz on Local Search Engine Factors has shown that online citations are among the most important ranking parameters for localized SEO. Dempsey suggests using a professional online citation tracker to check your current coverage in this segment and fix any potential loose screws in terms of the quality of given information. Check mobile usability reports via Google Search Console and fix any potential issues regarding mobile traffic. This includes seemingly small things such as making sure that font sizes are correct and that viewport is properly configured. Make sure to keep up to date with Google’s guidelines on this. Having a keyword that offers high research volume will not be sufficient in 2018. In order to come up with a superior keyword, you’ll have to target those that reflect meaningful search intent on the part of the user. You’ll do well to put yourself in the visitor’s shoes and consider the probability of having them buy from you based on their intent. Once you have a clear picture of this, you can focus on search volume for specific keywords. Going after rankings is hardly worth it if you fail to establish a long-term relationship with your audience based on the content you offer. Creating an effective content strategy means that each post will have a specific rationale for being written, be it writing for generating leads, strengthening your online presence or something else. A constantly evolving guideline in form of this strategy will help you organize your blog posts better in the long run. First of all, you’ll need to acquire quality content auditing tools such as SEMrush and make a list of your content. Create an Excel sheet with a checklist of the stuff that needs to be edited or furnished with proper links, new titles or key phrases. Offering engaging content goes together with acting with professional credibility. Including contact information and links in your email signature is a step in the right direction. In addition to being able to improve your traffic, it will help you strengthen the recognizability of your brand and ensure the easier promotion of your content. Ayyar recommends becoming proficient with at least one SEO tool suite, such as SEMrush. These tools will be used to check backlinks, keep an eye on your rankings and analyze keywords. As the affairs in the world of SEO are always in the state of flux, Stewart recommends making SEO testing your pivotal task. Since there is no magical method for building a universally successful SEO approach, you should engage in serial testing of as many of them as possible. Go wild with your experiments and assess your results. Start with an equivalent of a mission statement when it comes to content generation. Think less of search engine technicalities and focus on targeting your audience with engaging content on a regular basis. Focus on readers when preparing lists of topics and SEO-friendly keywords. Search engines are increasingly evaluating your website’s loading performance when it is being accessed by your audience. Google has its own page load speed test page, and this is in line with its policy of favoring websites that load fast enough. Avoid putting large images that can drag your loading speed down and compress them as frequently as possible. Smaller businesses are forgiven for not being able to grasp the nitty-gritty of SEO business immediately. Yet, they can get around this issue by coming up with a reasonable budget for hiring reputable SEO experts to do their work for them. Just make sure that you do not go for the cheapest option on the list. Keyword research is the backbone of SEO efforts whose outcomes will vary according to the amount of time and resources that you put into it. Research is best organized around optimization for the most suitable keyword for your business. Avoid trying to optimize your website for too many keywords, or for keywords that have no relevance for you and your business. Instead, focus on optimizing pages and posts for a single essential keyword and keep on asking yourself about their purpose all the time. Today, Pinterest allows its users to pin articles with keywords, and link to websites from its page. In order to have a large number of links that lead to your website, you’ll have to have your pins liked or repinned. You’ll do well to use adequate keywords in the titles and in descriptions as well. Guest blogging is still helpful for your SEO efforts, particularly if you go beyond milking it for the value of its links. Instead, you can use it as a platform to get in touch with the new crowd that is still unaware of your professional and business achievements. Cottam suggests moving your website to https since Google Chrome started warning users about pages that are not https. This can be a minor yet unavoidable factor for securing better rankings. Instead of fussing about minor technical details, you should focus on infusing your content with quality links. When building your backlinks, you’ll do well to use branded anchor text. Finally, Causey suggests avoiding getting bogged down by reading too much of SEO-related articles on daily basis. Instead, you should focus on field testing on your own and invest more time into the solution that will work just for you.